Horse owners who keep their own horses at home often take in a boarder or two to help with costs and provide some social interaction for themselves and their horses. Friendly boarders can help with chores and take care of your own horses while you're away. Taking just a few simple steps can make the difference between an at-home boarding situation that works, and "What was I thinking?!" If you're accepting compensation of any kind (even just reimbursement for feed), your homeowners' insurance will most likely consider this a commercial use of your property. The typical homeowners' insurance policy will not cover commercial use. Practically speaking, that means you're uninsured if anything happens to the boarder or their horse. Without liability insurance, all of your personal assets are at risk. 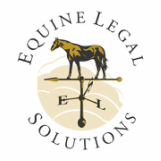 So, call your insurance agent and find out what it will take to be insured for boarding a horse or two. You don't know who your friends really are until something bad happens. Even if you're sure your friend would never sue you, how can you be sure about your friend's insurance company or non-horsey spouse? A good liability release discourages people from suing in the first place, and helps prevent them from winning their case if they do sue. Even in the simplest of boarding situations, having a written contract helps preserve friendships by managing expectations. If there's any doubt about how much board is, and when it's due, everyone can refer to the contract. When the boarding contract outlines what the property owner's and boarder's responsibilities are, it minimizes confusion and helps keep things running smoothly. And if the boarding situation doesn't work out, the contract says how much notice is required to terminate the arrangement.